The Douro Valley is one of the most beautiful wine regions in the world, and one of the most historic. Despite its natural beauty, though, it’s long been a difficult place for wine travelers to get to, much less stay. Thankfully, that’s now changing, most recently with the opening of the impressive Six Senses Douro Valley resort. The Douro Valley is one of the most beautiful wine regions in the world, and one of the most historic (it’s a UNESCO World Heritage Site, and the oldest demarcated wine region in the world). As the Douro River meanders its way toward the Spanish border, the hillsides that flank it are covered with terraced vineyards, which produce the grapes for one of the world’s greatest dessert wines, Port. Despite its natural beauty, though, it’s long been a difficult place for wine travelers to get to, much less stay. Thankfully that’s changing, most recently with the opening this summer of the Six Senses Douro Valley resort, a 57-room historic estate complete with spa, outdoor yoga pavilion (why not?) and three restaurants. 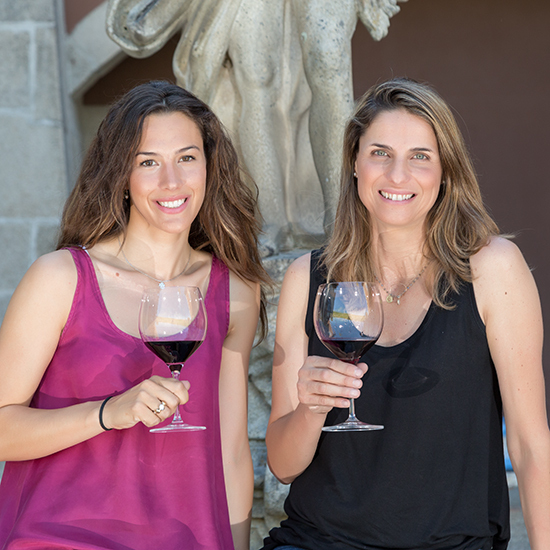 What’s particularly interesting is that, rather than a sommelier, the wine program here is headed up by two of the Douro’s most talented young women winemakers, Sandra Tavares da Silva of Wine & Soul and Francisca van Zellar of Quinta Vale D. Maria. I chatted with them about what makes the Six Senses wine program different, and what to do while visiting the Douro. It’s unusual for a hotel to hire two winemakers to run its wine program—why do it? Francisca van Zellar: The whole idea is create very, very direct contact between guests and winemakers, so we’re reaching out to local winemakers throughout the region, bringing them in for tastings, dinners and events at the hotel. We also have a dedicated wine concierge, who only organizes trips and visits to wineries. And instead of Sunday brunch, we’re doing a big Sunday barbecue outside every week, again with winemakers from all over the Douro. Sandra Tavares de Silva: Churrascos like that are a Portuguese tradition. We do them every weekend in the summer, though normally only at people’s homes. At the hotel, it’s a way for guests to really meet our tradition and culture. The winemakers will bring their families; it’ll be very casual, just enjoying life with good food and good wine. The Douro is beautiful, but it’s been hard for people to visit. Is that changing? FvZ: For a long time, the quintas [estates] in the Douro were closed to anyone who wasn’t in the wine business. Now more and more are opening their doors. The Douro’s always been very open-minded and warmhearted and welcoming, but in the past people never saw that! I have to say, though, at my family’s estate, Quinta Vale D. Maria, the dust from the dirt roads leading to our winery is probably going to limit things to people who really, really want to be there. ST: There are worse things than dust. Last winter, there was a massive storm and a mudslide on one of those roads destroyed my car. The side of the hill just came down and smashed it! Luckily it was ten minutes after I’d gotten out. FvZ: That’s not something visitors have to worry about, thankfully. Anyone who comes to visit the Douro is going to stay a couple of days in Oporto, too—what are your favorite restaurants that aren’t in every guide book? FvZ: I like going back to the more traditional places. There’s a wonderful restaurant in Matosinhos, the old fisherman’s village in Oporto, called O Gaveto. They have a brilliant wine list and incredible fresh fish. Another I love is Toupeirinho—if I could afford it, I’d eat there all the time. It’s a tiny little place, and the owner’s the sort of chef who will go off and get the absolute best cherries during the exact right time during cherry-picking season; everything he does is like that. ST: Up the Douro, there’s also DOC. It’s a beautiful location, overlooking the river, just downstream from Pinhao. Rui Paula’s food is amazing—he has the ability to reinvent Portuguese cuisine is a wonderful way, lighter but without losing its character. For me, it’s the best restaurant in the Douro right now. FvZ: One thing I think everyone should do is go to San Salvador del Mundo, above Pinhao. From there, you get this breathtaking, almost vertigo-inspiring sense of the dimensions of the Douro Valley. To the left is all hard rock, and then the beautiful meandering river and vineyards to the right. Beyond that? Go grape picking, do foot-treading at one of the quintas. But if you do tread grapes, pat your legs with brandy—it keeps the yeasts from making your skin itchy.